Add classic, fizzy ginger ale to your soda dispenser, and delight all of your patrons with its timeless appeal! 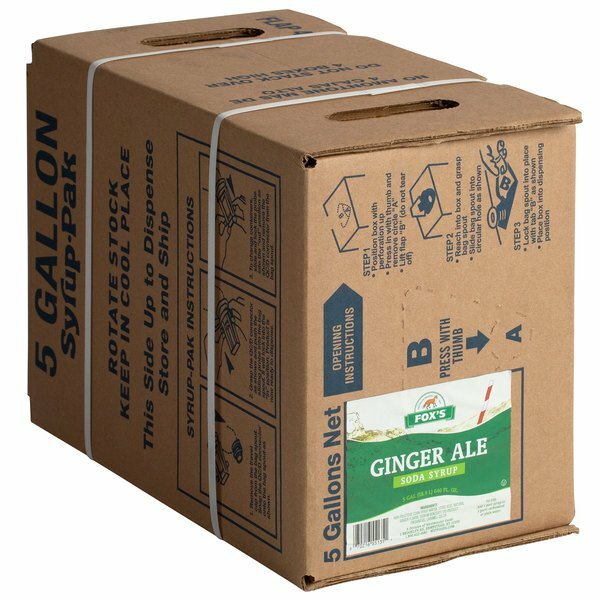 Easily refill your soda machines and always have refreshingly sweet ginger ale soft drinks on hand with Fox's 5 gallon bag in box ginger ale soda / beverage syrup. A corporation specializing in irresistible ice cream toppings, sweet syrups, and fizzy soda mixes for over 100 years, H. Fox & Company takes great pride in their products. 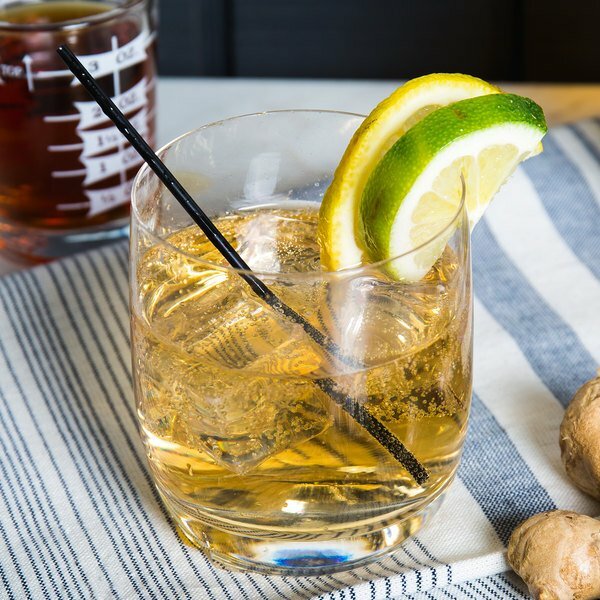 Perfect for your bar's mixed drinks or your special event's non-alcoholic punch, ginger ale features a sparkling consistency and an attractive golden color. Its crisp, clean, slightly sweet taste complements just about any concession food. 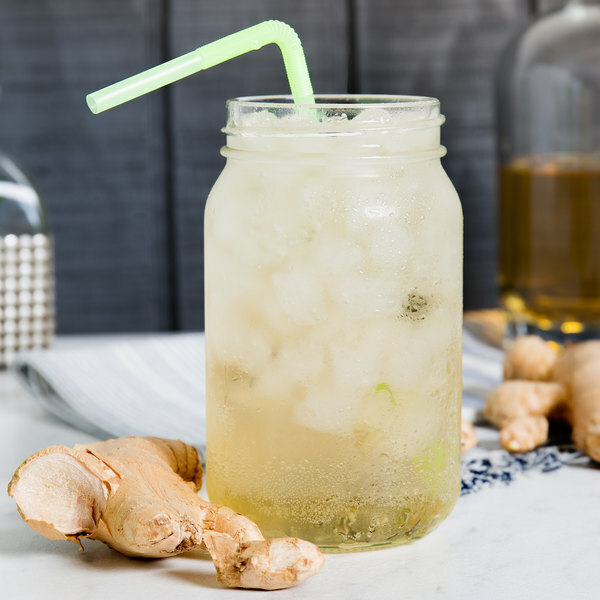 Offer ginger ale at your movie theater, stadium, or take-out station, and its fresh ginger flavor is also known for having natural soothing properties. Fox's bag and box are recyclable, and this ginger ale beverage syrup reduces waste by dispensing only the desired amount to mix a drink. Each 5 gallon bag in the box will yield approximately 30 gallons of soda when used with a soda dispenser. 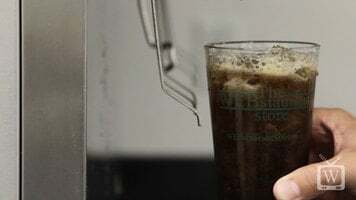 Simply add 1 part syrup to 5 parts carbonated water to use, and make measuring hassles, spills, and flat products a thing of the past! At our bar we go through tons of ginger ale so cost is a huge factor when choosing a product. Fox's ginger ale is priced right and tastes great. No other big name brand out there has ginger ale that tastes this good from a bag in box. Even with shipping cost, Webstaurant's stock is more affordable than big brand names. I was paying also 3 times as much from my soda supplier for Ginger Ale and why this stuff tastes just fine...Staff couldn't even taste the difference. Fox's is a great brand that has great syrups at a low cost. The syrups work well to create in house sodas. The ginger ales is perfect. It is sweet and a touch of spicy making a great ginger ale. Fox's bag in box drink syrups are a great value. They come well packaged in sturdy cardboard boxes. The ginger ale is pretty good. It is not the name brand version and has a slight after taste. 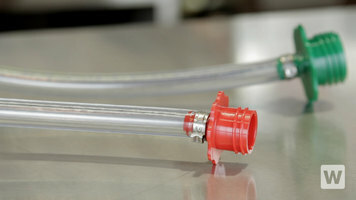 It is wonderful as a mixer. This Ginger Ale is better than the name brand, I would contend. It is definitely more full flavored. The best part is the cost of Fox's brand. It is significantly cheaper than going with name brands. This is a nice quality bargain brand of gingerale. It has a nice ginger flavor that is not too overpowering. Overall I am very happy with this. this is a good gingerale. not to strong taste to it. is very easy to hook up, has a very nice flavor. have a lot of custumers that love it. 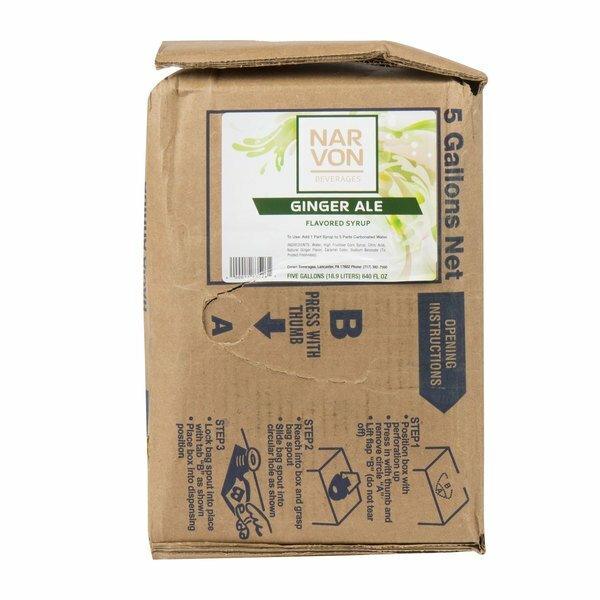 With the same great flavor as the H. Fox version, this Narvon bag-in-box syrup gives you the taste you want, at the price you need. 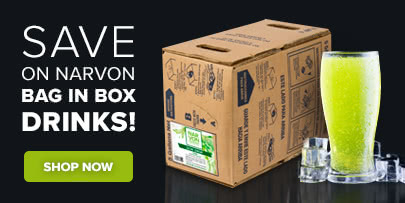 Plus this item is eligible for free shipping!